Ladon, the Hesperian dragon, coils around the trunk of the golden apple tree. The beast is depicted as a thick-bodied, seven-headed serpent, closely resembling its monstrous sibling, the Hydra, in form. 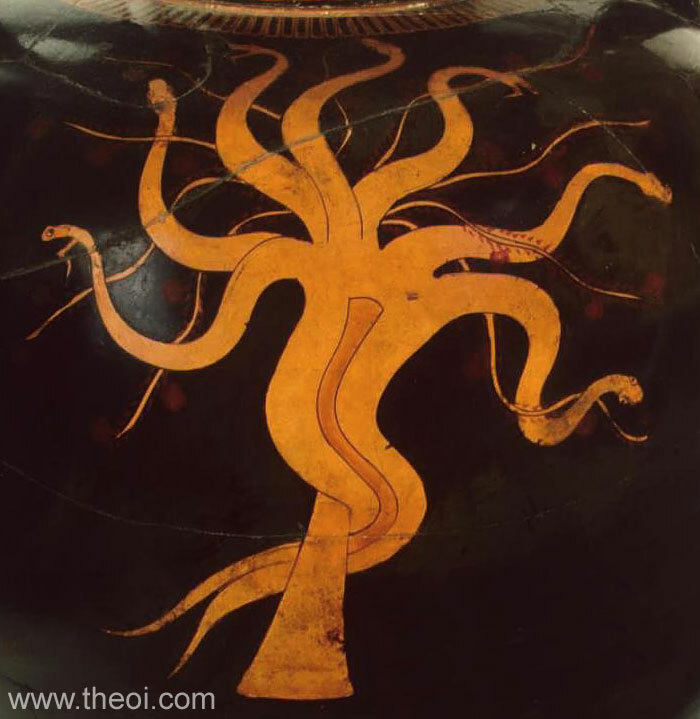 The tree is heavy with red apples--although the myth describes the fruit as golden the painter chooses to emphasizes their nature as apples in the limited colour palette of early Greek vase painting. Heracles (not shown) approaches from the right with bow drawn.